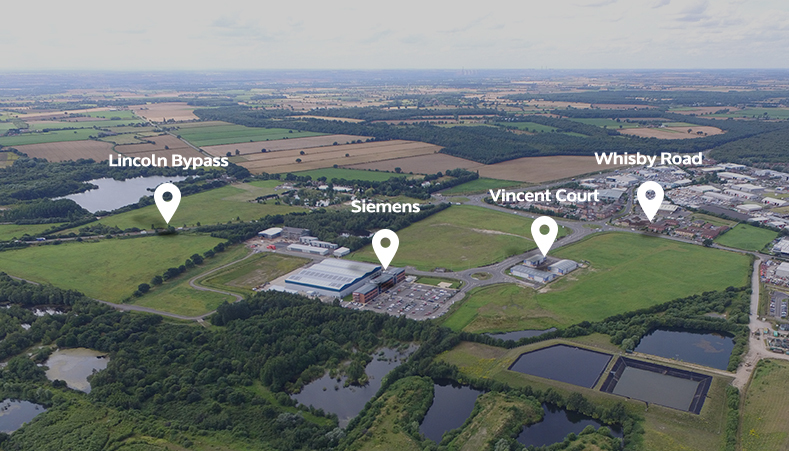 Teal Park occupies a strategic location at the junction of the A46 Lincoln bypass and Whisby Road. A new roundabout on the Lincoln bypass provides easy access to the A1 at Newark, the M1 at Leicester and, via the A15 and M180 to the Humber Bridge and ports of Immingham, Grimsby and Hull. In addition, the location provides easy access to Lincoln city centre. Sustainable transport in the area is encouraged through a regular bus service to the site, excellent cycle routes to Lincoln and North Hykeham, and links to the nearby North Hykeham Station.